Cisco has joined forces with VMware and Citrix to create a new cloud-based desktop-as-a-service (DaaS) aimed principally at service providers. Amazon’s recent entry into the DaaS market recently could signal more interesting market offerings to enterprise in 2014. With Cisco’s enhanced USC hardware with capacity for 252 cloud-based desktops on one UCS blade, users can choose virtual desktop software from Citrix or VMware (Deskton). Virtual desktop adoption has been slower with enterprises to date, however these developments bring higher performance and greater sophistication. Allied to the flexibility of cloud hosting use across devices, this could mark a sea change in enterprise policy and increase the emphasis on governance policies for MSPs. An alternative way to climb smartphone supremacy? Jolla – the Finnish company made up of ex-Nokia employees – has shipped its first smart phone, using its own Operating System (OS), “Sailfish”. Available to buy direct, Jolla is targeting a niche audience willing to gamble on a new player. CEO Tomi Pienimäki plans to enable users to download the Sailfish OS onto Android devices for free. The free download and support of a smartphone OS would be a first. This could be key for the small Finnish company to have a decent stab at climbing the smart phone OS market share ladder, currently dominated by tech giants Google and Apple. In addition Sailfish can download and run Android apps, avoiding the missing App situation Microsoft has been fighting with Windows Phone the last few years. Ultimately, even with a purely digital distribution method, Jolla is facing a David vs Goliath battle, but it is a good thing for the market. 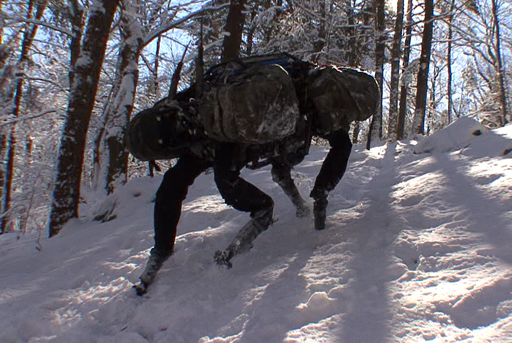 Google has been snapping up robotics companies with gusto recently, the latest being Boston Dynamics, creators of US funded military robots, which walk like animals and can cross harsh terrain including forests, snow, frozen ice and even water. So where is Google going with such advance robotics? Google’s own self-driving car programme may hold some answers. Artificial Intelligence (AI) could be the driver. Having access to the minds who created these robotic balancing feats could benefit driverless cars and much beyond. Googles own services such as its mapping data could also benefit Boston Dynamic’s own creations. With Google’s history in both big data and programming, ‘Google AI’ doesn’t seem such a huge leap, creating a system that can power the robots of the future. Recent research estimates that there are 3.9 billion email accounts in use and this is expected to rise to 4.9 billion in 2014. 76% of these are for consumers, but the largest proportion of email traffic is business communications. 100 billion business emails were sent and received in 2013 each day. The increase in the mobile workforce is powerfully fed by retailers providing ready access to email through their range of devices, making this a clear contributor to the figures. Forrester assesses that by 2017, 78% of US email users will access emails through mobile devices. Employee freedom and flexibility is a must for profitability and business fluency. It is equally compelling that IT Directors and CISOs must engage with an MDM solution provider if organisations want data secured and properly protected (Airwatch, MobileIron and Citrix all feature in Gartner’s 2013 magic quadrant). Add to the rapid adoption of public cloud services, the arguments in favour of proactive management are overwhelming. Interesting figures released for 2013 reveal that 73 million smartphones were purchased for business users in Q3 2013, a 34% increase in corporate purchasing over the same period in 2012. It begs the question whether Bring Your Own Device (BYOD) strategies are being re-thought by companies, let alone whether it is the right approach for business, or fair on employees. The fate of Blackberry could have distorted the figures as businesses sought to replace stock with new Apple and Android phones. However the challenges of adopting BYOD are maturing and in Gartner’s view, are 5-10% more expensive than the corporate option. Food for thought for CIOs. HP’s Discover event in Barcelona this week announced the arrival of their new workload optimised Converged System. A new engineered solution, it consolidates servers, storage, networking, software and services, through a single management tool and single point of accountability. With high performance virtualisation, faster data analytics of big data and a new hosted desktop experience based on the Moonshot server, they are hoping it will attract serious enterprise interest. If they deliver the promised increases in efficiency, speed, and always-on engineering HP will gain traction, which will become increasingly compelling, added to an order to operations timeframe of as little as 20 days. In a move looking to strengthen their Cloud proposition, Microsoft has announced the Cloud OS Network. Made up of over 25 leading cloud service providers, the list includes business names such as Capita IT Services, Lenovo, Fujitsu Ltd and T-Systems. The providers operate in more than 90 markets, over 425 datacentres and serve over 3 million customers daily. This enables Microsoft to offer tailored infrastructure and application services from their new partners, whilst attracting new users to an all-powerful Azure cloud. Flexibility is the key here and Microsoft in opening up their Cloud proposition this way, could prove very compelling for businesses and enterprise. As the end of the year approaches, it is time to look back over the top security threats that attacked in 2013. Distributed Denial of Service (DDoS) is still very fresh in our mind, after big attacks in recent weeks on RBS. DDoS attacks have been on the rise, taking advantage of greater available bandwidth. Mobile Applications threats have also been on the increase. With even more users downloading mobile apps, and the app stores themselves individually gaining more traction, larger numbers of people have fallen victim to data harvesting apps. Finally, with the focus on securing external attacks, ones from the inside are also on the increase. The average cost of internal breaches are also greater than external threats. With all this in mind the start of 2014 is certainly going to be an opportune time to review and implement security policy and defences. America’s NSA is trawling a whopping 5 billion mobile phone records per month in an attempt to connect terrorists by location and conversations. The volume almost defies analysis when only 1% is useful in anti-terror work. Microsoft plans to counter this invasion of privacy by encrypting its services to thwart tracking. The power player also confirmed it will continue to fight legal orders to release consumers’ details to government departments. Commercial security for customers with a mobile workforce remains a key priority for MSPs. Top players including Mobile Iron, Airwatch and Good ensure that the positivity of identifying location, plus wipe and lock device management remain a desirable paid-for feature with their audiences and not a threat. Last Friday shoppers around the UK were unable to use their Natwest accounts. RBS Group have reported the reason for service failure was due to a Distributed Denial of Service (DDoS) attack. This news comes shortly after Monday’s IT failure, where cash machines and card payments were also affected. RBS are stating Monday’s IT failure and Friday’s DDoS were not connected and no customer information was compromised. No comment has been made whether any further action has been taken to prevent future attacks, but whether customers trust them enough to remain with the bank remains to be seen. Apple may have recently bought the 3D sensor company PrimeSense but their shopping spree has not ended yet. This week Apple purchased Topsy a Twitter analytics firm for an estimated $200m. Topsy is one of a few companies with access to Twitter’s entire data stream and archive of 400 billion tweets. Apple has mostly stayed out of the social networking game, with iTunes Ping their now closed social network attempt, falling flat on its face shortly after release. Although Apple has no native search tools (unlike Google or Microsoft) to take advantage of this large datastream, they could be looking to integrate it into their virtual voice assistant tool Siri for iPhone and iPad. The other advantage this data could have for Apple is a better understanding of consumers’ habits, utilising what people are talking about to help place effective advertising in social media. Online retailer, Amazon, has announced plans to launch Prime Air, a possible new drone delivery service expected to be in development till 2015. Using a gyrocopter to fly small packages under 5 lbs, it would have a range of 30 minutes from its distribution centres. The hurdles are considerable and create more questions than answers currently: FAA approval needed for flightpath clearance, limited address viability (delivery to flats, offices and pavement access headaches), plus a very limited payload. Similar drones are being developed in Australia and China, so no opportunity for patenting. However, if approved, the upside for the US economy is a potential $13.6 billion injection plus 70,000 new jobs over 3 years and an estimated economic development of $82 billion over 10 years. Like all good technology revolutions there is lots of hype – whether it “delivers” on speeding business up remains to be seen?